In my previous two posts, we looked at the major Christian denominations and their differences. If you missed them, you can check them out here: A Handy-Dandy Breakdown of Different Christian Denominations and Why Are There So Many Denominations? Despite their differences (and they are often vast! ), the denominations we’ve looked at so far are all considered to be part of Christianity because of their shared agreement on certain core doctrines that are essential to Christian belief — doctrines like the Trinity, the divine and human natures of Jesus Christ, and salvation by faith in Christ. But what about other groups that claim to be part of Christianity? Groups like Mormons and Jehovah’s Witnesses — are these considered Christian denominations, too? Well, if we’re answering that question based on whether they agree with the essential beliefs of historic, orthodox Christianity, then the short answer is: No they are not. Background: Also called “The Church of Jesus Christ of Latter-Day Saints,” Mormons consider the teachings of Joseph Smith and his writings (including The Book of Mormon, Doctrine & Covenants, and The Pearl of Great Price) to be authoritative alongside (and even, arguably, over) the Bible. Smith (1805-1844) claimed to have received visions from an angel named “Moroni” and assumed the role of a prophet. He claimed that his writings were translations of ancient Egyptian tablets he discovered (in America, of all places!) and “translated” with Moroni’s help. Not only is there zero archaeological evidence for the long and convoluted version of American history recorded in The Book of Mormon, but Smith’s works contradict themselves in numerous places (for example, earlier editions of The Book of Mormon claim it was Nephi, not Moroni, who guided Smith). What’s more, Smith’s contemporaries frequently pointed out his penchant for fanciful storytelling (along with his hobbies of treasure-hunting, fortune-telling, and generally conning everyone he met). It should be pointed out that because Mormon doctrine holds that everyone’s soul existed in heaven before earth was created, they teach that a person’s soul can be born with spiritual merit or demerit based on its past actions before birth. Strikingly, this led to a long history of white supremacy in the Mormon church, as they believed dark skin was an indicator that one’s soul had disobeyed God in its pre-existent state. (They’ve since tried to distance themselves from this doctrine, for obvious reasons.) It also led to the practice of polygamy among fundamentalist Mormons, since having more wives meant having more children — aka more bodies for these pre-existent souls to inhabit. Not only is their doctrine of God radically unbiblical; Mormons have a different understanding of “salvation,” as well. In the Mormon belief system, people gain greater levels of eternal reward (even up to becoming a god yourself and inheriting your own planet) by performing enough good works and participating in specific Mormon rituals. One such ritual is “baptism on behalf of the dead,” in which a Mormon member may act as a stand-in for the spirits of their deceased friends and relatives, receive those spirits into themselves (! ), and earn saving merit on their behalf. Non-Mormons are strictly forbidden to enter the Mormon temples where these rituals take place (not that I’d want to be around for that). Although Mormons claim to be a “restored” version of Christ’s true church, hopefully this brief glance makes it clear that they are far from anything that could be considered true, biblical Christianity. Background: The “Jehovah’s Witnesses” trace their origins to the teachings of one Charles Taze Russell (1852-1916), who set out to establish his own version of Christianity since he felt that such core doctrines like the Trinity and hell were too offensive. The Witnesses operate under the strict control of their organizational headquarters, the Watch Tower Bible and Tract Society, based in Brooklyn, NY, who hold absolute sway over all Witness beliefs and practices. The Witnesses have their own translation of the Bible — the New World Translation — and teach congregants primarily through their magazine, The Watchtower Announcing Jehovah’s Kingdom (or Watchtower, for short). Beliefs: Chances are you’ve encountered Jehovah’s Witnesses in the form of a pair of missionaries knocking at your door. While their diligence at proselytizing is admirable, their motive is saddening: most Jehovah’s Witnesses believe that their version of “evangelizing” is an essential task to earn salvation. Rather than accept the biblical truth of salvation by God’s grace through faith in Christ and not through one’s good works (see Ephesians 2:8-10), Witnesses believe and teach that one must earn their salvation through their good works. Aside from door-to-door proselytizing, Witnesses also require members to complete a number of “Bible studies” — which in actuality are studies of Witness doctrines — as part of earning their salvation. Witnesses love to point out that the term “Trinity” never appears in Scripture. Ironically, the name “Jehovah” technically doesn’t, either, and yet Witnesses insist that “Jehovah” is God’s true and only name. They believe that Jesus Christ was God’s first creation, and their New World Translation even alters the Bible’s original wording every time it describes Jesus as one with God or as Creator (such as in John 1:1-3; Colossians 1:15-20; Philippians 2:5-6). Witnesses also hold belief in “soul sleep” and annihilationism to be essential parts of their system. The former is the idea that there is no conscious existence of the soul after death until the final resurrection when Jesus returns; the latter is the belief that the souls of unbelievers will be destroyed forever rather than suffer eternal torment. While classical, orthodox Christianity would consider these to be disputable, minority interpretations regarding the destiny of people’s souls, the Witnesses require adherence to them. Finally, it should be pointed out that questioning the Watch Tower Society’s interpretations is strictly forbidden, and anyone who chooses to leave the Jehovah’s Witnesses for any reason after being a member will be shunned and cut off completely by all their Witness friends and family. These two groups aren’t the same, but they both share one common error: They deny the doctrine of the Trinity in favor of the ancient heresy known as “Modalism”: the belief that God is sometimes “Father,” then sometimes “Son,” and at other times “Spirit,” rather than eternally three-in-one. Oneness Pentecostals baptize “in Jesus’ name only,” rejecting any other baptisms as invalid. Many also hold unorthodox views about salvation, since they believe that water baptism, Spirit-baptism subsequent to conversion, and speaking in tongues are all necessary works in order for one to be saved. Many Oneness Pentecostals also hold very strict standards for members’ behavior, such as not allowing female members to wear pants. 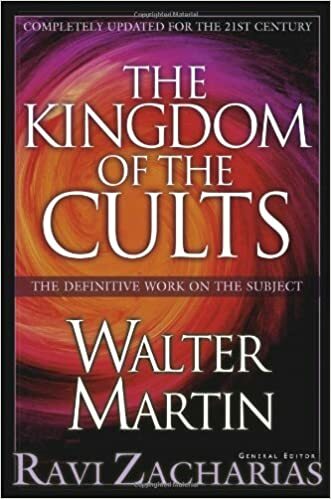 This brief overview can barely scratch the surface when it comes to covering unorthodox “Christian” groups in-depth, but if you’d like to know more about them (and how you can respond to their beliefs with biblical truth), then be sure to check out Walter Martin’s indispensable reference work, The Kingdom of the Cults. It’s a one-stop shop for learning about not only the groups covered above, but other spiritually dangerous movements such as Scientology and New Age cults. ‹ Why Are There So Many Denominations?